FireKeepers Casino Hotel is one of Michigan's largest casinos and is located in Battle Creek, Michigan just off of I-94. Built in 2008 and opened in August of 2009, FireKeepers features 107,000 square feet of gaming space alone, making it one of Michigan's most prominent casinos. Owned and operated by the Nottawaseppi Huron Band of Potawatomi, the management of the facility needed a partner for commercial roof construction that could meet the high expectations for the design of the massive facility. Bloom Roofing worked closely with the Shingobee Builders and Clark Construction on constructing the casino complex, ensuring that the roof's installation did not interfere with other areas of construction and meeting all project deadlines. Bloom Roofing's expert technicians installed a .045 Ultraply Adhered TPO roofing system that totaled to 197,100 square feet. Today, FireKeepers Casino Hotel stands as one of Michigan's most prominent gaming facilities and one of Mid-Michigan's most recognizable buildings. Looking for expert commercial roofing in Battle Creek? 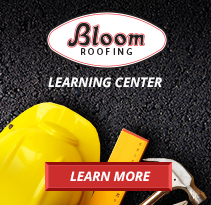 Contact Bloom Roofing's industry-leading team today.